The Fruit Bar Incan Berries are made from the dates and are a great choice when you need extra energy between meals, or just want to twist something. For all those who look after their diet, either because of the decrease in potassium or simply because of their desire for healthier nutrition. Incan berries are dry fruits originating from Peru's mountain areas (Cajamarca) and have a pleasant sweet acidic flavor. They are rich in antioxidants, proteins and fibers, and are also rich in phosphorus, vitamin C and flavonoids. 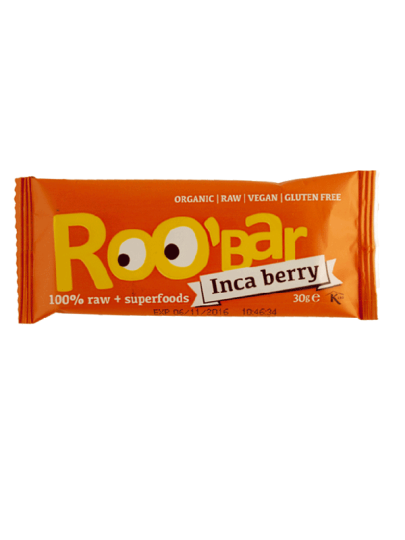 Roobar fruity bar from date with incan berries is a good snack for every day of the day.